Golinelli Communication Lab collaborated with the University of Modena and Reggio Emilia in the 7th edition of their Master’s degree course entitled “Cultural Heritage Cataloguing and Accessibility: New Value Adding Technologies”. 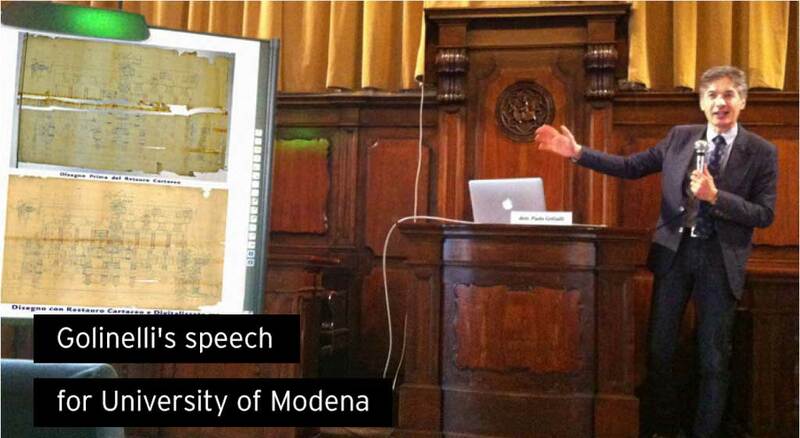 In his lecture, Paolo Golinelli presented Image Service, the service that Golinelli Communication Lab offers for scanning historical documents in preparation for the creation of digital archives. Paolo Golinelli presented scanning projects completed for Maserati, Ferrari and Barilla, and explained how this type of service can prove useful and beneficial for companies. 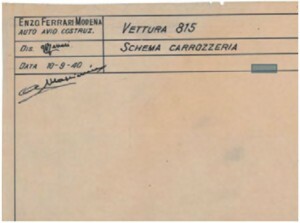 The digital archiving of original drawings, for example, is important for conserving the history of major Italian companies and essential in the restoration of classic cars. The postgraduates followed the presentation with interest and curiosity, and learned how even manufacturing companies can help conserve Italy’s historical and cultural heritage.